Care Well Medi Hubis a Centre run under the supervision of a licensed health care professional. It is a leading Centre in India that deals with weight management programs along with the other problems that are faced by people. Undoubtedly, this place is more than a Unisex salon where people only come for pampering themselves, it can also be called a Slimming or Weight Loss Centre. Losing excess weight is a big problem, but it is essential for being fit and for generating confidence in oneself. People wish to be slim and trim so that they can look beautiful and keep themselves healthy and fit at the same time. It is important because the way we look affects the manner in which we think about ourselves. In a family a leaner person will receive compliments that makes them more confident; whereas a stout person may be criticized for the way they look and thus it give a negative impact that causes depression in them. Calling a fat person “fat” actually hurts them a lot and they get more and more depressed by the way they look that destroys their complete self-esteem. People having low self-esteem, they eat more to handle depression. If an obese person wants to lose weight then they must first develop a will power in themselves and start preparing the mind. All these four factors are important for keeping weight gain away from you. Care Well Medi Hubadopts all new sophisticated technologies for estimating the requirements of the patient's body and then only create a plan for them that will help in developing positive changes, losing weight and keeping weight away.Weight is the major reason why people lose hope and self confidence in themselves. Thus it is important that people try, exercise, diet or join slimming Centre's for reducing weight and for looking gorgeous. As per Care Well Medi Hub and Slimming and Weight Loss Centre in South Delhipeople tend to gain weight because of some natural and genetical reasons such as Improper energy balance: Improper energy balance means not using the energy consumed as required by the body to keep fit. Utilizing the energy consumed to the fullest will help in maintain yourself. Weight gains when you consume more calories than required by the body. Improper energy balance: Improper energy balance means not using the energy consumed as required by the body to keep fit. Utilizing the energy consumed to the fullest will help in maintaining yourself. Weight gains, when you consume more calories than required by the body. Inactive style of living: People in India and aboard are not physically active either because of the working culture and lack of time. Watching TV, playing video games and computer games during leisure time is the main reason of gaining weight. Modern technology has made men, women and children physically inactive. Inactive people easily gain weight because the consumed calories are not burned as per required. No parks, trails, sidewalks and affordable gym or weight loss centres. Genes: Weight gain may also be caused because of genetic reasons. Children may tend to be overweight if their parents are also overweight and they may also lead an inactive lifestyle if their parents have an inactive lifestyle. Health conditions: hormone problems such as hypothyroidism, growth hormone deficiency, PCOS and Cushing's syndrome can also cause weight gain issues with people. Medicines: Medicine prescribed by doctors or physicians may also have some side effects due to which people may even gain weight. Such medicine, increases appetite and slow the rate of burning calories that increases weight. Emotional eating: when stressed, bored or angry people tend to eat more to reduce anxiety in themselves leading to obesity or over weight. Pregnancy: After pregnancy women generally find it hard to lose weight that they have gained during pregnancy, to support the growth of the baby. This may lead to obesity. Lack of sleep: people who sleep less tend to gain weight more because lack of sleep means more intake of calorie food. Sleep helps in healthy management of hormones. Men and women both have a different tendency towards weight gain. Obese men usually have a fat deposition mainly on the upper part of their body and belly whereas obese women will usually have fat deposition in their lower body. Obese person is more likely to become ill. Their inactive lifestyle increases the risk of heart attacks or other heart related problems, breathing disorder, depression, liver disease, gastroesophageal reflux disease, high cholesterol, osteoarthritis, stroke, High blood pressure, colon cancer, diabetes and other diseases as well. It is advised that both men and women who are gaining weight or are overweight already must consider going to the slimming Centre or weight loss Centre that provides guidance, technological and surgical help for them who are actually in need. Cryolipolysis: Cryolipolysis is also known as Cry cool Lipolysis sculpting or Cryo sculpting or Cool Slimming. This treatment is used for destroying the fat cells present in the body. The main aim of this unique treatment is to reshape the body through controlled cooling that causes cell death of dermal fat tissue that too without damaging the upper layer of the skin that too without any surgery. The complete procedure is safe, effective and undeniably long lasting. With this you can lose upto 3 inches in single sitting. Liposuction: Liposuction is also known as Lipoplasty or Liposculpture suction Lipectomy or Simplylipo. 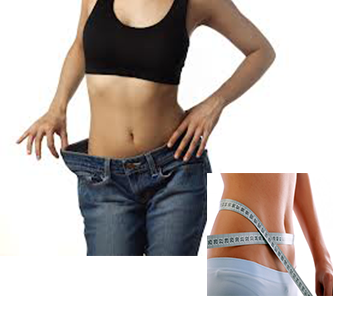 This treatment is adopted by many people for the purpose of losing weight instantly. This is a cosmetic surgery that operates upon to remove the fat from the body using suction. During this session small, thin cannulas are inserted through the tiny slits in the skin of the affected areas. The fat is then suctioned out through these cannulas. The concept of liposuction is very simple, it is a surgical technique that used to improve the body contour by eliminating excessive fat that is accumulated in between the skin and muscles. Ultrasonic Cavitation: Ultrasonic Cavitation is also known as Lipo Cavitation or Fat Cavitation ; it is one of the most effective cellulite reduction treatment and one of the best local fat loss technologies that are available today. This is a non-surgical procedure through which people can lose weight. This method is adopted by slimming centres and weight loss centres because of its easy and mind-blowing results. Cavitation treatment is used over fat that does not seem to disappear even after diet control or exercising regime. This treatment destroys the stubborn fat cells by using sound waves at low frequency. During this technique no knives or anesthesia is required. This treatment is done to remove fat permanently from the abdomen, buttocks and other parts of the body. It also improves the texture of skin, body contouring blood circulation and so on. RF skin tightening: Slimming centres or the weight loss centres in India, nowadays are also preferring RF skin tightening treatments for anti-aging and skin tightening. After losing weight people have to fight with the sunken skin. Tightening the skin becomes a big problem after excessive weight loss thus RF skin tightening is offered by our slimming Centre to tighten up the skin with the help of radio frequency. It improves and prevents the signs of aging on face, hands and neck. It provides a younger look and revitalizes the dull skin. This latest technology can also perform as body slimming technique and thus is incorporated in the weight loss program by many slimming centres. Diet counselling: Dietitians and physicians at the weight loss Centre after examining your body prepare a diet chart for you. Care Well Medi Hub specializes in diet counselling for weight loss. They will communicate with you regarding the goal you can achieve and plan towards succeeding the goal. Here you will achieve proper nutritional guidance, coaching, training and support. Maintaining the weight after weight loss is very important thus to maintain yourself it is necessary to keep all the negative thoughts away from yourself and think positively in a positive direction. Never let the past come in between you or your present. Let the bad go away for good, and the good come for the better. Never blame your genes for being obese, you can try and achieve your goal with full determination. Keep track of what you eat and how much calorie you are taking in. Best friend of yours can always motivate you in achieving your goal. It is important to stay happy and calm because only then you can be able to work out properly without any distractions.